Gambling has a long association with ships and boats, with the famous Mississippi paddle steams being an iconic part of casino history. Indeed, floating riverboat casinos are still used in some parts of the world today, to get around licensing laws, like those in Goa, India. But, it is the colossal ocean-going super liners that are most impressive. 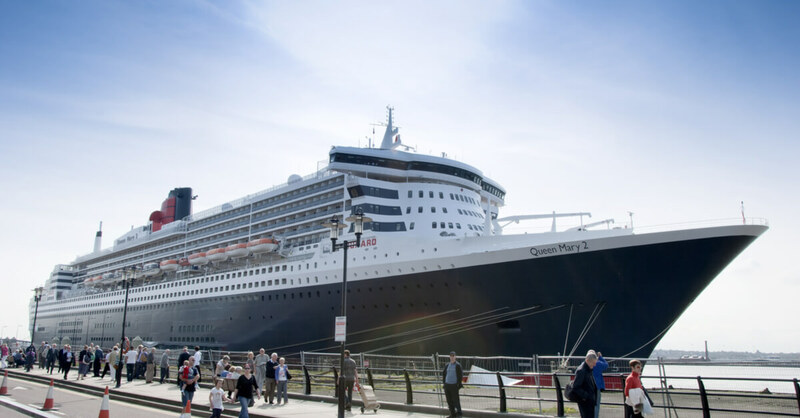 No other ship encapsulates the glamour and sophistication of the golden age of transatlantic ocean liners like Cunard’s stunning flagship, Queen Mary 2. Adorned in the line’s iconic black hull and white superstructure livery, with red accents, and routinely plying the historical route between Southampton and New York, the ship is a masterclass in craftsmanship and attention to detail. Boasting the most luxurious suites, staterooms and even a library (with over 8,000 books, it’s the biggest afloat anywhere), it comes as no surprise that the ship’s Empire Casino is par excellence. With understated décor and styling, it is, just like the rest of the ship, a nod to classic British taste. Offering roulette, blackjack, three card poker, heads up and Texas hold’em, in addition to just shy of a hundred slot machines, the Empire Casino has plenty to keep passengers entertained on the long Atlantic crossing. Though, just like the rest of this magnificent vessel, the casino exudes class, it remains surprisingly accessible, with a smart-casual dress code, table limits ranging from just $3 to $500, slots starting at only $0.05 per spin, and by offering gaming lessons for new players. But, if you are going to plum for the luxury and grandeur of a cruise aboard the Queen Mary 2, we recommend you do it properly, put on your tuxedo or dinner dress, take a whiskey or cocktail, keep your chin held high, and play those tables like you own the place. While Cunard might cut it on class, Royal Caribbean’s Harmony of the Seas, awes in terms of sheer scale. At the time of writing, it was the world’s largest cruise ship (with her sister ship, Allure of the Seas, coming in a close second). Weighing in at an incredible 226, 963 GT, claiming a length of 362.12m and a beam of 66m, and featuring 2,747 stateroom (with ‘virtual balconies’), the ship can comfortably accommodate 5,479 passengers. 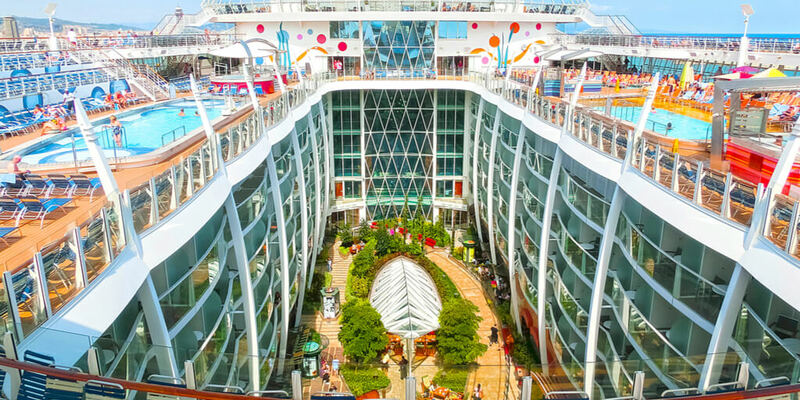 Harmony of the Seas is basically a floating city, with dozens of bars and restaurants, a Central Park, Vitality at Sea Spa and Fitness Centre, Boardwalk, Royal Promenade, Entertainment Place and, of course, an amazing casino! Harmony’s Casino Royal recreates the glitz and buzz of Las Vegas, with slot machines, video poker, and a full range of table games, from roulette and blackjack to craps. Again, lessons are offered for new gamers, and the casino offers exciting tournaments, making it the perfect place to while away the evenings. OK, so maybe you’re in love with the idea of a casino at sea, you want to experience the glitzy style and live like a star, but you don’t have the best sea legs? No problem, jet off to the tiny British territory of Gibraltar, and board the exclusive Sunborn superyacht! The world’s first, and only, permanently moored 5-star luxury superyacht hotel, complete with 5 bars and restaurants, a spa, fitness centre, sauna, pool, and a fabulous casino offering more than 60 slots, American roulette, blackjack and poker, plus a cocktail bar! All of this, with a much more exclusive, personal atmosphere than the large cruise liners, and incredible views of the famous Rock of Gibraltar. To round things off, something totally different! Located on a floating barge, moored in the tiny former-Portuguese colony of Macau, was the little Macau Palace casino. In fact, it was the smallest casino in Macau, and provided a sanctuary to gamble without all the hustle and bustle of the big casino resorts. 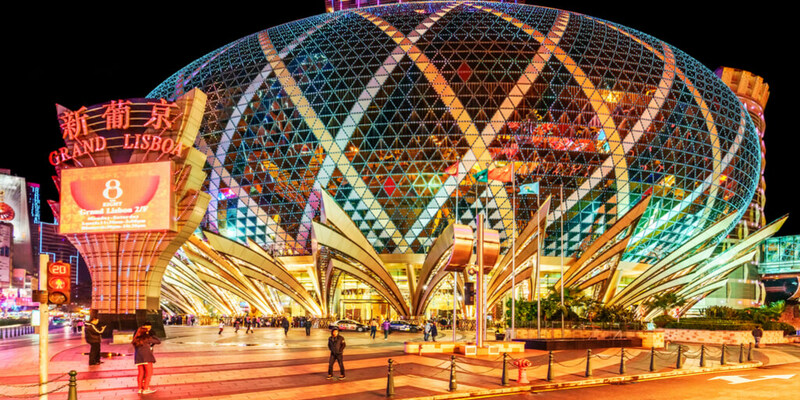 Offering baccarat, blackjack, dai-siu and sic-bo, a small number of slot machines, and a restaurant, the Macau Palace managed to draw gamers through its unique oriental charm and character. In fact, it was so charismatic, that it was even used as a location for the classic 1974 James Bond movie The Man with the Golden Gun. Unfortunately, the original floating casino, used in the movie, was replaced by another, less colourful version some years later, and now even that is languishing in a quiet part of the harbour, awaiting an uncertain future. But, the spirit of the Macau Palace Casino lived on, clearly inspiring the floating casino for the 2012 Bond movie Skyfall. It remains to be seen if the Macau Palace will return one day, or if the large western-style casino resorts have slayed the dragon for good.